The Addix Great American Giveback nomination period is only two days away from ending. The Great American Giveback is much more than just a social media contest. It is a way to showcase cause games around the country. That was our goal when we brainstormed this idea in April. What is a way to giveback to communities who are going the extra mile to benefit local or national charities, causes, and raising awareness? We came up with the Great American Giveback. This is a social media contest, yes, but it is also a chance to highlight schools that are putting on events for incredible causes around the country. Each school in our giveback will have designs made up for them, and be able to compete in our contest. If they win, they receive 50 free cause game uniforms/jerseys for their game. Any school that does not win will be given special promotional pricing by Addix in order to help them run their cause game all the while getting as much money to their cause as possible. Right now we have a lot of schools who have come to us with cause game ideas in each of our five categories. The Michael Sadler Foundation, Gilda's Club Grand Rapids, Cancer Awareness, Military/First Responder Appreciation, and an Open category. Some events nominated include the Pat Tillman Memorial Classic, Military Appreciation wrestling meets, ALS awareness basketball games, diabetes awareness football games, football games in honor of Michael Sadler, Cancer Awareness Football game raising money for the Henry Ford Hospital for Children, cancer awareness track meets, Gilda's Club Grand Rapids awareness games, a cancer awareness event with football, volleyball, and soccer all competing on one day, and many more. In this article we are featuring some of the designs already made up for the Giveback. The contest begins July 15th and will last three weeks. At the end of those three weeks, there will be five schools that each win 50 cause game uniforms/jerseys for their event. We are running this contest so that we can promote the idea of cause games. Cause & Awareness related events are growing in popularity around the country and around the world. These events are put on with all or the majority of the proceeds benefiting a non-profit organization or unique need of the game organizers choice. Addix has been honored to participate in assistance in organizing, managing, designing and manufacturing athletic apparel specific to these events which have raised over $1.8 Million in donations in the last 18 months. We're not stopping now, we are just getting started! 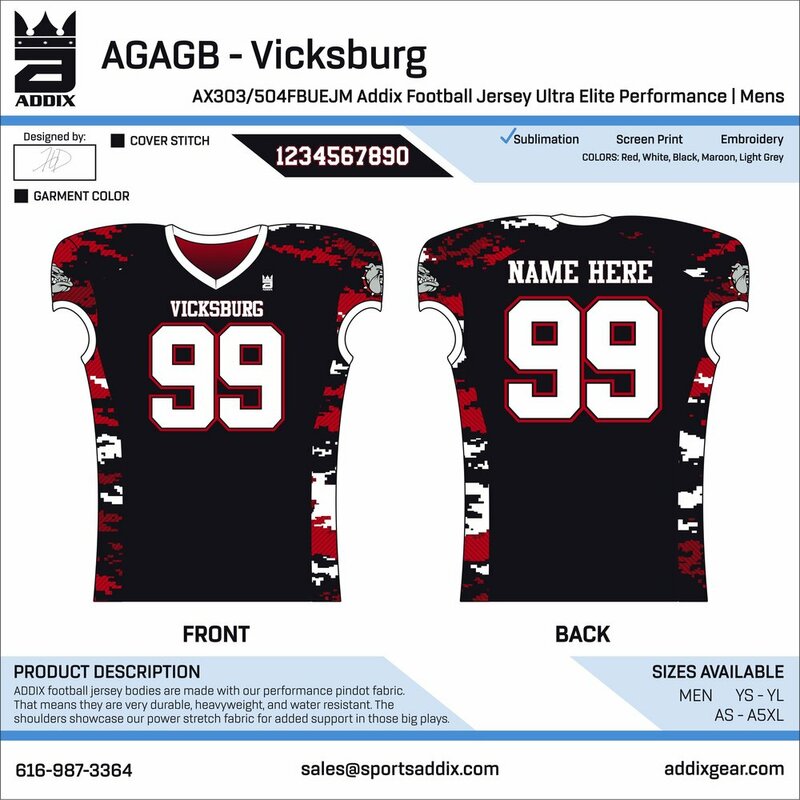 Our uniforms have benefited organizations and charities for cancer awareness, Gilda's Club, The Michael Sadler Foundation, military appreciation, "fighting hunger" games, and much more.